My firm is different from other investment firms both in structure and spirit. Aaron Brask Capital reflects the ethics, discipline, and vigilant mindset I have relied on my entire career. My analytical background and experience working with ultra-affluent families around the globe have been key to formulating my approach to wealth management. Please click on the tabs below to learn how I can deliver peace of mind while preserving and growing clients' wealth. Many investors assume larger, well-known brokerage houses are the safer option when it comes to managing their wealth. However, the trend is clear; an increasing number of clients (especially those with substantial wealth) are moving to independent investment advisors. This shift is driven by a variety of factors related to transparency, conflicts of interest, fees, and performance. For those who enjoy cynical humor, Fred Schwed Jr's book Where Are the Customers' Yachts? is a great read with plenty of anecdotes about Wall Street firms. 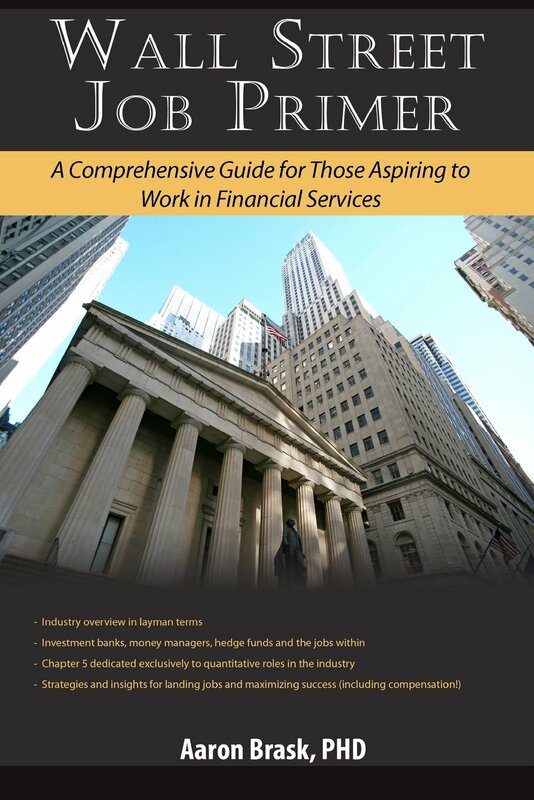 While this book was written over 75 years ago, Phil DeMuth and Ben Stein share more candid criticism of financial services firms in their 2013 book The Affluent Investor. Page one sets the tone claiming Wall Street firms are nothing less than "wealth expropriation machines." While my section on Trust discusses some of these factors in more detail, the table below highlights some of the key differences between broker-dealers and independent advisors. When working with a broker-dealer, your assets are held in-house within the firm's own brokerage accounts. Their brokers have access to your funds and assets. The recent collapse of MF Global highlights the potential risks broker-dealer clients face. Independent firms hold client assets with third-party custodians (e.g., Charles Schwab or Fidelity). This model creates a system of checks and balances. The independent advisor has discretion to buy/sell securities on behalf of client but cannot use or transfer monies outside client accounts. Brokers are only held to a suitability standard. They can sell their clients investments and banking products even when they know of better options. Registered investments advisors (RIAs) uphold a fiduciary standard. That means they must place their clients' interests ahead of their own. As a fee-only advisor, I go further to avoid conflicts of interest. In particular, I do not accept commissions or incentives from third parties that could potentially bias my advice. Broker-dealers are often entangled in an opaque web of revenue sharing, commissions, and fee arrangements with internal and external product providers. This creates material conflicts of interest; they may be inclined to allocate their wealth management clients' assets to these products based on their kickbacks rather than the merits of the investments. In general, independence helps avoid conflicting incentives and temptations to exploit clients. Take the case of a loan or other credit product, for example. A broker within a large firm might discuss maximizing fees from a captive client with one of their firm's private bankers. An independent firm like mine will focus on sourcing the best product or rate by making external firms compete for the business. Many brokers are focused on transactions to generate commissions. While this naturally creates conflicts of interests with clients, the most dangerous aspect of this model is perhaps its piecemeal nature. A comprehensive financial plan should not be based on a series of flavor-of-the-day transactions. This approach is typically very inefficient both from tax and planning perspectives. I believe genuine advice and robust planning are critical for financial and investment success (e.g., retirement). That is why establishing goals and monitoring performance toward those goals are critical elements of my investment process. This helps me deliver peace of mind so my clients can take comfort knowing their affairs are being managed with the care and expertise they deserve. Given the conflicted nature of the broker model, the primary constraints on business strategy often boil down to legality and liability. A quick search of the Financial Industry Regulatory Authority (FINRA) arbitration and mediation filings can illustrate the frequency and magnitude of issues clients have with these types of investment firms. Part of the fiduciary standard dictates independent advisors must maintain a code of ethics that sets forth their standards of business conduct. Taking this a step further in an effort to facilitate the highest degree of transparency, I like to formulate investment policy statements dictating guidelines for the investment strategies and types of investments used with each client. This makes my financial planning and investment process fully transparent so my clients can rest assured their affairs are properly managed. Brokers often operate on a minimal-disclosure basis with fees explained in small print. I find it unfortunate and unsurprising that most prospects I meet with are unaware of the magnitude of investment-related fees and how they are levied. Moreover, few if any brokers compare their performance to standard benchmarks or indices. I make sure fees and performance are fully transparent. I provide my clients quarterly performance reporting and invoices. I also report external fees (e.g., fees charged by ETFs and mutual funds) and calculate their total cost of wealth management. This allows my clients to see both how much they are paying and what they are getting for their fees. 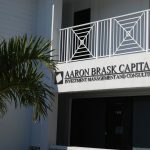 Aaron Brask Capital is an independent, fee-only registered investment advisor. That means I do not favor any particular firm's products or services and I do not receive commissions that could bias my advice. Simply put, I am always looking out for my clients' best interests. I structured my business to facilitate trust, but my analytical expertise and investment experience truly distinguish us from other firms. I conduct my own independent research and enjoy educating investors of all types. Whether it is a one-off financial plan, an ongoing advisory role, or investment management, I truly enjoy helping individuals, families, and organizations with their investments. Unlike most investment advisors, Aaron's background is in research - not sales. While working for two leading investment banks in New York and London, Aaron built and managed global teams to provide investment and risk management services for the firms' top clients. He has been published and quoted in major newspapers and magazines including the Wall Street Journal, Financial Times, Barron's, and Risk magazine. Aaron is well respected by his family, friends, colleagues, and clients on both personal and professional levels. He is highly driven and focused on succeeding but always maintains the highest level of integrity in his endeavors. Aaron has a long track record of achievements both in academia and the investment business. 2005: Recruited by Barclays Capital to build their equity research platform. Built and managed global teams focused on investment and risk management strategies for the firm's top clients. 2014: Developed Fundamental Reporting (patent pending) - a software tool used to monitor and analyze comprehensive fundamental performance for publicly traded companies and portfolios. Aaron was born in St. Louis but grew up in south Florida with an active lifestyle involving much tennis, basketball, and surfing. Work brought him to New York and then London where he met his wife Stephanie. After 9 years in London and a one year sabbatical in France, they moved to Jupiter, Florida. Aaron and Stephanie are proud parents of their two toddlers Michael and Chloe. Stephanie is an avid tennis player and involved in their children's schools. Aaron is focused on growing his practice and learning how to play golf. 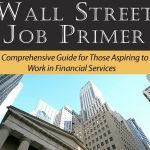 I wrote this book to help those aspiring to work in the financial services industry. Note: This book is not about investing.